The glass coatings are durable and protects from water, dirt and others. Additionally, the glass coatings protects from corrosion and helps in easy cleaning. The glass coatings are used in various applications such as construction, automotive, aviation and others. The glass coatings are available in wide range of prices to provide hard, durable, corrosion protection and extra shine effects. The glass coatings prevent the paint from scratches, rain and harmful UV. The global glass coating market is witnessing substantial growth on account of increasing number of automotive and transport vehicles. This drives the global glass coating market during the forecast period. 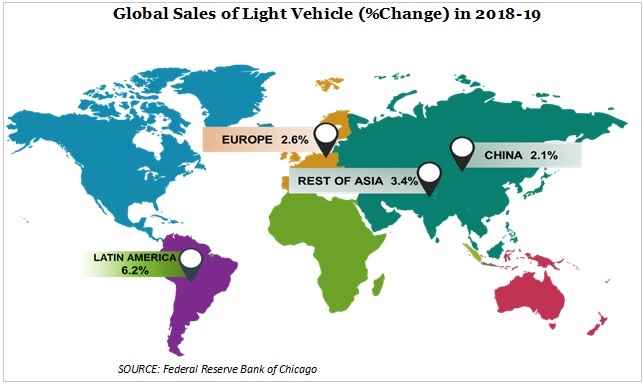 Additionally, advancement in automotive industry coupled with the increasing disposable income across the globe is expected to drive glass coating market.According to the Federal Reserve Bank of Chicago, sales of light vehicle sales increased by 2.1% in China, rest of Asia by 3.4%, Europe by 2.6% and Latin America by 6.2% in 2018-19. Rapid economic development coupled with the continuously expanding construction industry in turn is expected to boost the glass coating market during the forecast period. 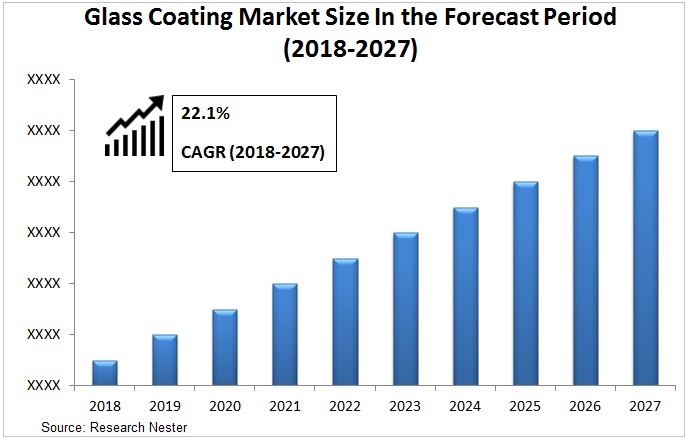 Additionally, increasing construction of buildings coupled with the rising application of glass coatings is driving the demand for the glass coating globally. Latest technological advancements in automotive sector is increasing the application of glass coatings on the vehicles. This is estimated to propel the glass coating market significantly during the forecast period. Additionally, increasing demand for protection from various factors such as dirt, corrosion, rain and others coupled with the rising disposable income is expected to further drive the glass coating market across the globe. The glass coatings are offered at relatively high prices owing to limited the application of glass coatings for various purposes. This is expected to restraint the global glass coating market in the coming future. On the basis of regional analysis, global glass coating market is segmented into five major regions including North America, Europe, Asia Pacific, Latin America and Middle East & Africa region. North America is anticipated to lead the global glass coatings market during the forecast period on the account of rapidly expanding aerospace and construction sector. Additionally, the high demand from the U.S. is further driving the market growth of the glass coating in the region. Asia Pacific is expected to witness significant growth during the forecast period owing to widespread expansion of constructional and automotive industry in the countries such as China, Japan, India and others.